He went on to Schoolcraft College to study culinary arts. He then attended the Culinary Institute of America, in Hyde Park New York with some of the Country’s current top chefs. The experience in New York helped further shape his passion for, and view of cooking. It was when he met the owners of Cafe Cortina, the Tonon’s that he recognized a shared passion for fresh ingredients, high quality food, and a desire to make the diners experience top – notch. He was placed at the helm of Cafe | Cortina and truly appreciates the Tonon’s receptiveness to his menu idea’s, including the highly anticipated theme dinners. 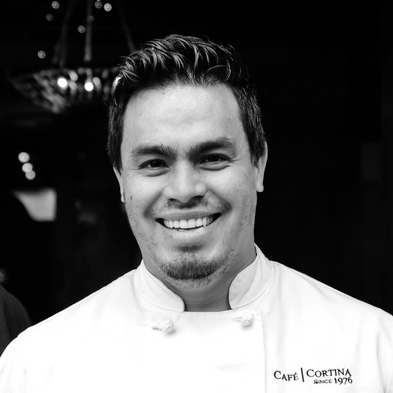 Chef Antopia credits the support of his family for allowing him to ascend to his current position with Cafe | Cortina.